Niramayaa’s organic eye pillows are a perfect solution to get over sleep related problems and obtain a much relaxed and peaceful nap. This Niramayaa organic eye pillow comes as a boon by keeping light away from your eyes, reducing eye strain and letting you rest without much difficulty. 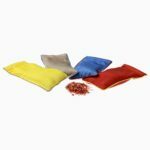 Niraamaya’s organic eye pillows are a perfect solution to get over sleep-related problems and obtain a much relaxed and peaceful nap. This Niraamaya organic eye pillow comes as a boon by keeping light away from your eyes, reducing eye strain and letting you rest without much difficulty. 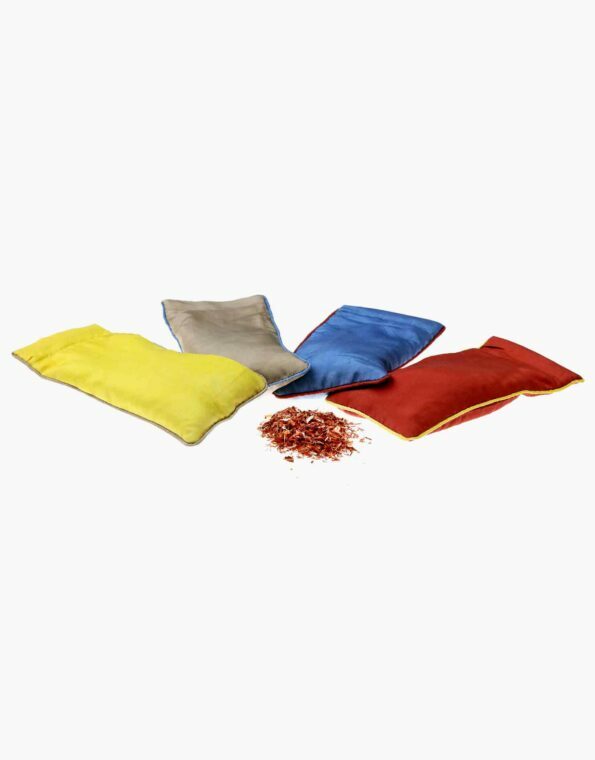 The eye pillows are made of pure mulberry silk, dyed with red sandalwood, vetiver, manjishta, wild turmeric, indigo for their wellness features. They have fillings of organic tulsi seeds, brushed with vetiver, galangal & sandalwood oils for a mild soothing aroma. The concept is based on Ayurveda & aromatherapy. The pillows are provided with a ziplock to unload the filling so you can adjust the weight as per your requirements & washing. You can also add any herbs/spice of your choice like lavender, patchouli etc. They can be used hot/cold either by putting in microwave/ fridge ( use a plastic cover to protect from moisture). It’s really relaxing for muscle pains, stiff necks etc when used hot. 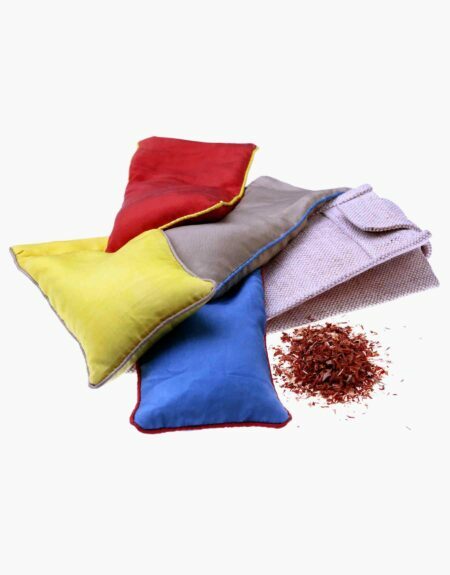 The eye pillow comes in a burlap pouch with multi-use. Imbibing the qualities of Ayurveda and Aromatherapy. Can this organic cotton eye pillow be washed? The ayurvedic properties do not get get washed away, but soft detergent or liquid is recommended. Drying indoors is recommended as the organic material is not recommended to be treated with strong chemicals. How mm thick is this organic eye pillow? 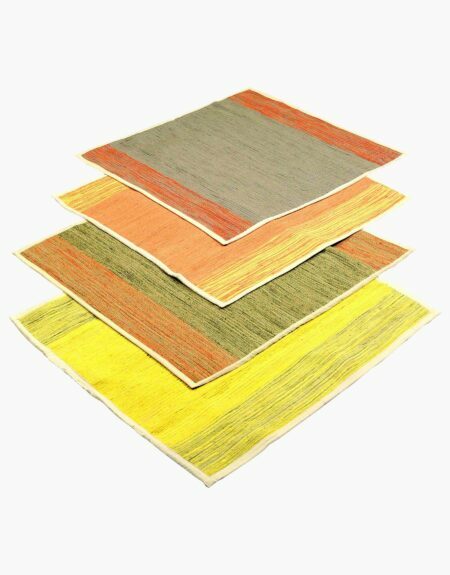 Does this organic eye pillow can be stone washed? This organic cotton eye pillow cannot be stone washed. 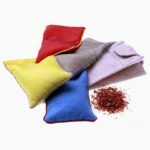 Will I get the same colour organic cotton eye pillow as I have ordered? 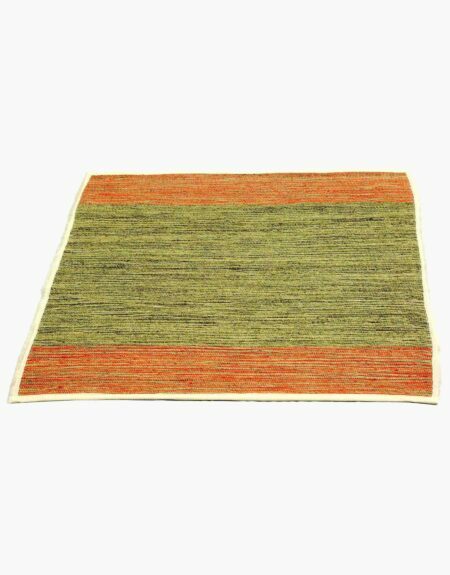 This Meditation mat is made of organic cotton and is infused with ayurvedic goodness. The grip provides a lot of traction giving you the extra stability during Meditation or Workout. This Meditation mat is designed as Compact as possible for carrying and convenient storage.